At Ritchie Dental Group in Marble Falls and Brady, TX, we believe your child’s smile is precious and should receive expert dental care from the time those first pearly whites make an appearance. That’s why we’re proud to serve as your children’s dentist in Marble Falls. 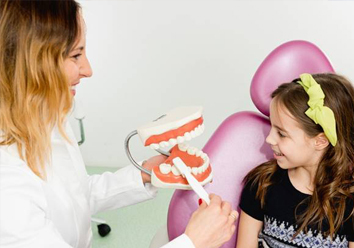 We put our expertise, passion, and compassion to work to look after your little one’s oral health, teach them the importance of proper dental care, and show them that they don’t have to be afraid of the dentist. As your family dentist, we love to work with patients of all ages. Next time you come in for your own appointment, why not bring your child with you? When a child has the opportunity to see that their parent isn’t afraid of the dentist, and they can sit back and watch what happens in our office, they’re more likely to relax during their own appointment. When it’s time for your child’s turn in the big chair, we’ll go the extra mile to put them at ease. We always strive to create a fun and positive learning environment that helps to instill a lifelong affection for dental care in your children. Professional cleaning. 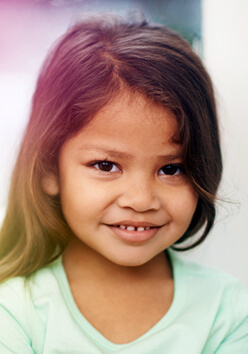 Just like adults, kids should have their teeth professionally cleaned at least twice a year. This gets rid of plaque and tarter and helps to prevent stains. Kids aren’t always as thorough as they should be when they’re brushing, and if they have deep grooves in their molars, food can easily become stuck in there. Sealants create a barrier between the chewing surface of the teeth and the substances that might do them harm. Fluoride treatment. Fluoride is essential for helping kids enjoy strong teeth, but if your family drinks bottled water, your child may not be getting enough of this mineral. As your children’s dentist in Brady, we can give your young one’s teeth the fluoride boost they need in order to thrive. We know that you do your best to teach your child the importance of good dental care at home, but we want to help you out! During your child’s appointment, we’ll be sure to talk to them about the importance of brushing and flossing, and we’ll demonstrate the proper techniques to help them be as thorough as possible when they’re caring for their pearly whites. If you have any questions about how you can help your child prevent cavities, or if you’re concerned that they have a habit that may damage their smile (such as aggressive thumb-sucking or an insatiable sweet tooth), please talk to us. We’re always willing to offer advice on how you can help your child to adjust their behaviors so they can enjoy a lifetime of healthy smiles. 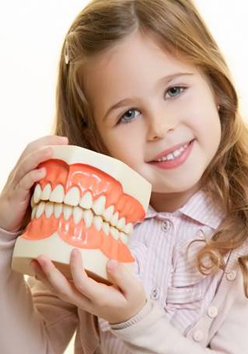 At Ritchie Dental Group, your children's smile and dental care habits are our top priority. If you have questions or would like to schedule an appointment, simply call or contact us using the form on this page. 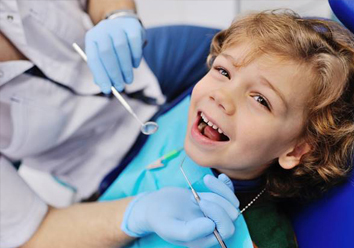 We look forward to ensuring that your child has a comfortable and productive dentistry experience!